- Select Option -3/8 oz.1/2 oz.1 oz. 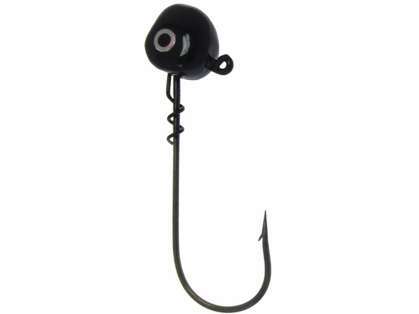 I have been using the flexi jig for a few years now and can say that I have total confidence in this jig head. 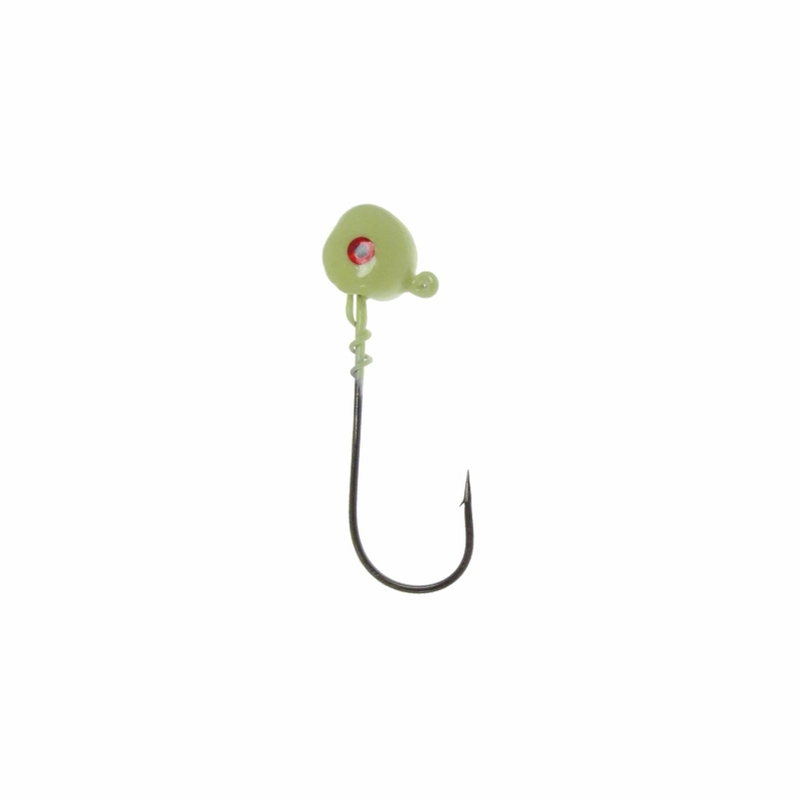 Virtually every game fish that takes a bite at this thing will get hooked. 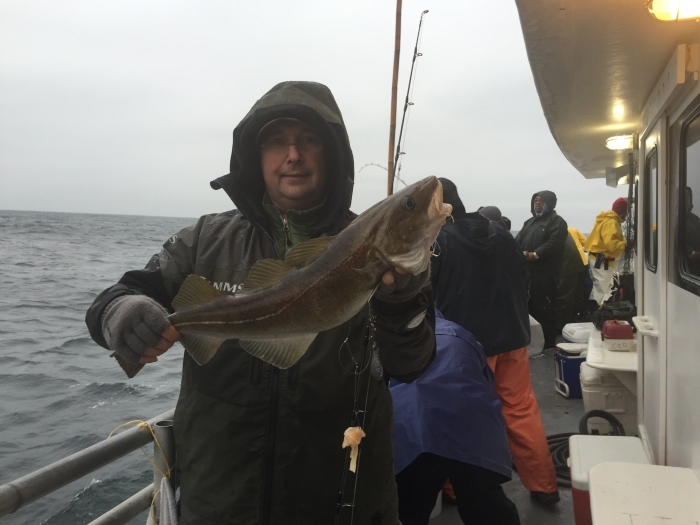 The hooks aren't crazy strong but didn't bend out on me when I snagged a paddle fish. The paint job is pretty neat but if you do fish in rocky bottoms then expect chipped paint. 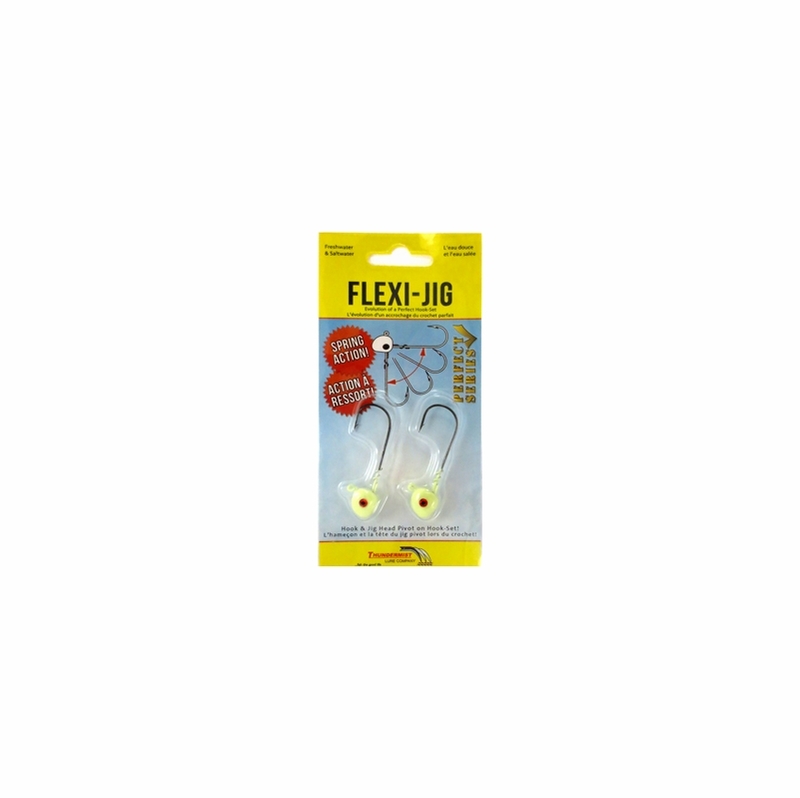 I generally use them for (fresh water) striped bass and due to the "flex" feature have always landed all that took a swing at it. The "flex" is actually helpful at times to get loose when you're snagged on rocks. ProsObviously the unique "flex" feature and the spring style bait keeper. ConsPaint does get chipped easily on rocks. Wish more quantity per pack. Can be pricey. Bought this jig for the "flex" feature. Am a fresh water/lake fisher. We are still in frozen water mode, so haven't tested jig--that's why the ***. Jigs are well-made, shipping/packaging fine and jig appears to be ready to do all that's promised--anxious to try 'em out! 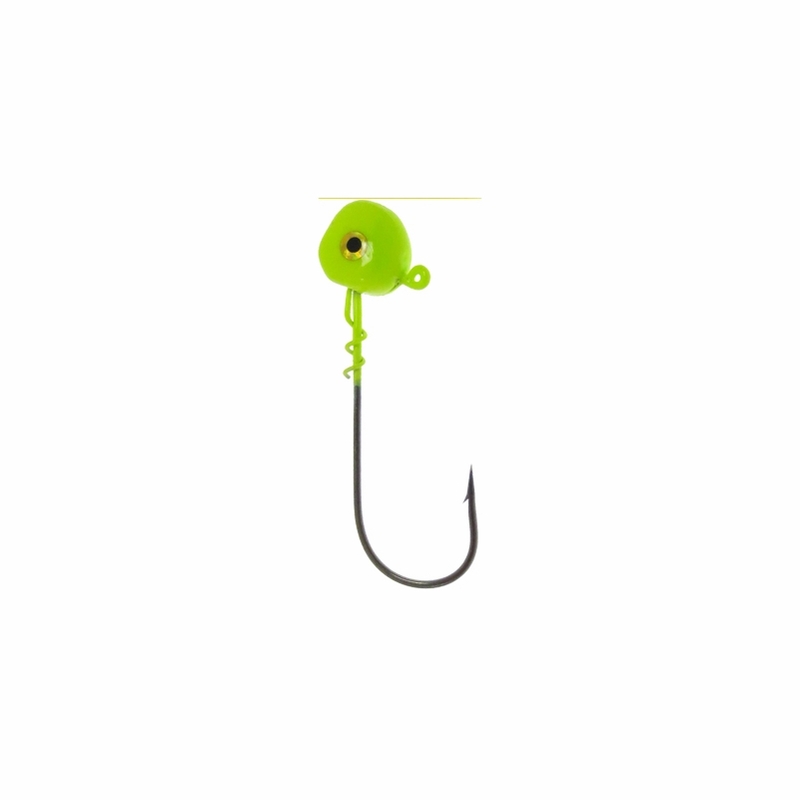 ProsHaven't used yet, but based on appearance and quality of jig, I'd recommend giving them a try. Lakes are still frozen-over and cannot try out the Flexi Jig. Am anxious to give them a try. Look well-made and true to everything promised by vendor/maker. ProsAlthough cannot attest to actual use, would recommend based on packaging and product appearance. 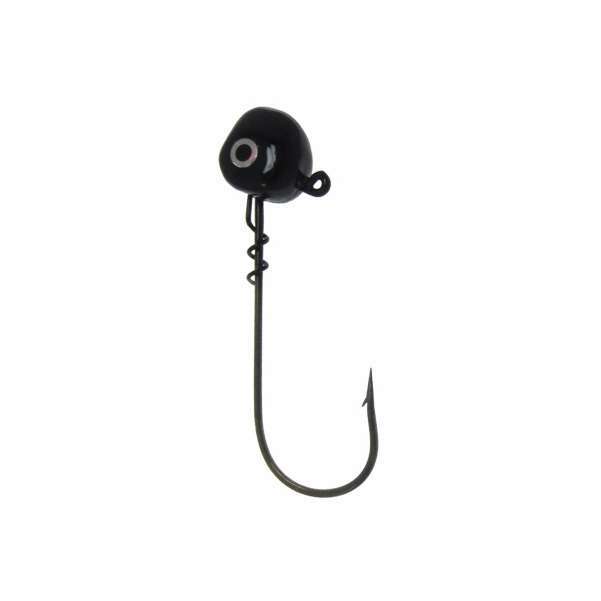 Well make high quality jig head. best use with worm plastic. I like to use even with hogy plastics. Yes, we ship to Canada and they do come in a 2 pack.